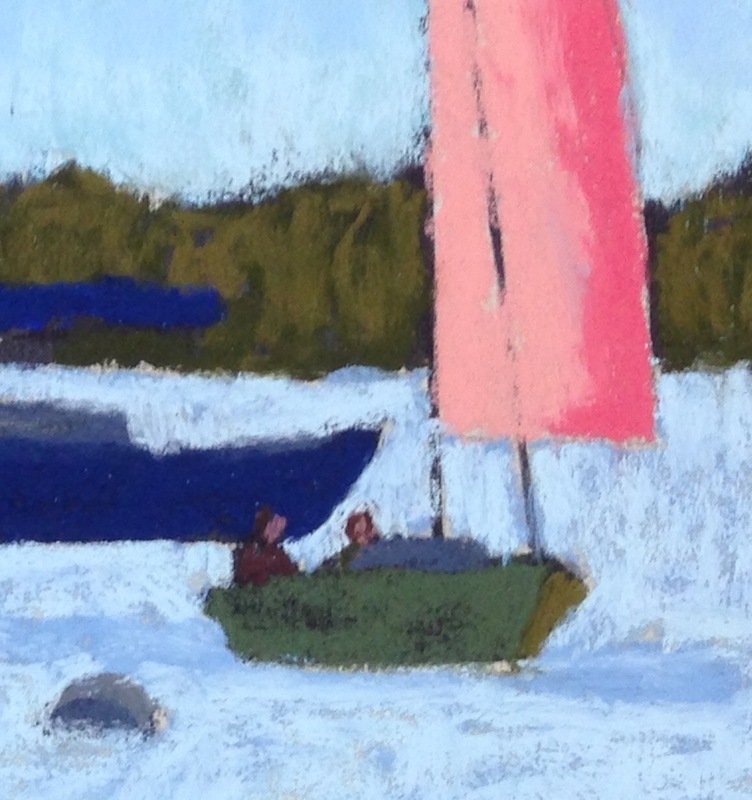 pastel on paper, ~ 5"x5"
This is my first attempt at "marker boats". I loved the way Tony Allain created a crowd of people using marker pens and pastels, and I wanted to try it with boats. So I took some pictures of backlit boats crowded together and used one as a reference. Only two boats here, but you get the idea. The boat and land silhouettes were put in with a marker, and pastel was applied over the top. I think I kind of mixed it up, by using the values of the backlit photo, but with my limited gray pastels, using too much color in the boats and shore. It will be fun to try again. Une technique intéressante !... Merci pour le partage de cette oeuvre. J'aime le contraste.